The practice of general dentistry focuses on preventing tooth decay, treating common dental concerns like gum disease, and conducting oral cancer screenings. 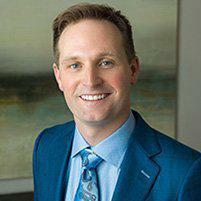 At Scott Young, DDS in The Woodlands, Texas, you can count on the very best general dentistry services in the area. Whether you need a biannual cleaning, a cavity filled, or a dental hygienist who can expertly clean your teeth in a personal, relaxed atmosphere, the exceptional team at Scott Young, DDS is there to help. Call the office or schedule an appointment online today. Think of your general dentist at Scott Young, DDS as the primary dental care provider for ensuring your optimal oral health. The team advises you on how to continue at-home care as well so you can keep your teeth and gums in their best condition for as long as you have them, which is hopefully the rest of your life. Periodontal therapies are meant to restore diseased tissue back to health. Your gums can get periodontal disease that leads to tooth loss and even bone loss in your jaw if you don’t treat the condition effectively. The highly trained general dentistry team at Scott Young, DDS, including on-site board-certified periodontist Dr. Akers, provides periodontal therapies to restore your gums if you have gingivitis or advanced gum disease. Since dental plaque buildup is the underlying cause of gum deterioration, periodontal therapies can restore your mouth to a healthier state. Then, it’s up to you to continue to keep up a good oral hygiene routine at home, between dental visits, for the longest-lasting results. As part of your routine cleaning and exam, your dentist conducts an oral cancer screening to detect any early signs of cancer. The screening is as simple as having your dentist thoroughly look at the inside of your mouth to check for red or white patches or sores. Your dentist also feels the soft tissue in your mouth to check for lumps or other abnormalities. If you’re looking for a general dentist’s office where you don’t feel rushed and you know you’re getting the highest standard of dental care, make an appointment with the friendly team at Scott Young, DDS. Call the office or schedule an appointment online today.